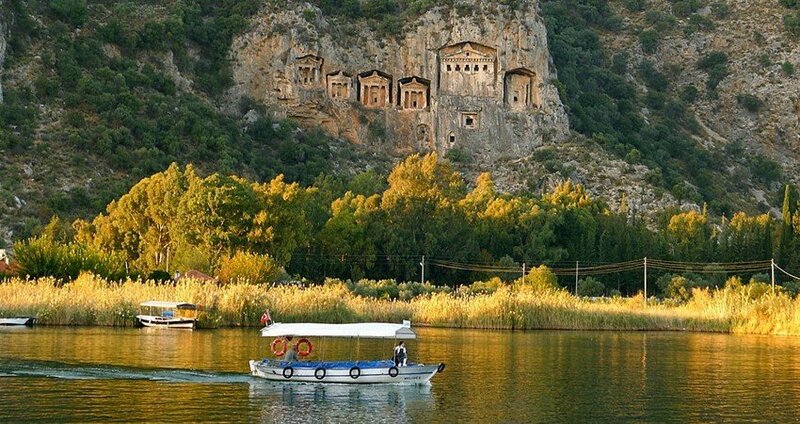 Allow yourself to travel in luxury and have fun on your trip, as well as your destination, by traveling in the Icmeler Dalyan Boat. Our lavish boat will take you to places that dreams are made of, and it will do so with style and luxury. Our tree-storey boat is equipped with numerous comfy sunbeds on the terrace, showers and toilets. On the boat’s downstairs deck, there are comfortable seating places, as well as our two delectable bars stocked with the array of refreshing drink and beverages. Icmeler Dalyan Tour starts when one of our drivers picks you up from your hotel at 8.00 in the morning, and takes you for a short and comfy drive to the Marmaris Harbor. There you will board our lavish boat and than we set sail into the amazing new adventure. Feast your eyes on the divinely beautiful Iztuzu Beach or the vibrantly fresh waters of the Dalyan Canal. 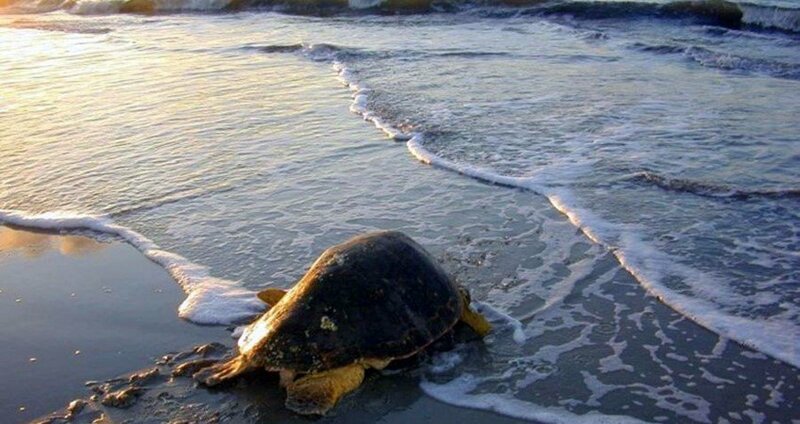 Take a swim in these sky blue waters and look closely, for you may see the astounding Loggerhead Turtles swimming right next to you! Our smaller boats will than take you to see the bewildering Lucian Temple Tombs of Kaunos, which will surely bring out that Indiana Jones hiding in every single one of us. After these adventurous hours of nature ad history, you will be able to indulge a joyful mud bath in one of the thermal pools. These baths are meant to make you look younger, but we are certain that this lovely tour will make you feel younger as well. Icmeler Dalyan Tour is a visit to the untouched, untainted portion of the world that everyone should experience at least once in their lifetime. To at least once walk the 7km long beach dividing the two floras and faunas of the Mediterranean sea and the Koycegiz Lake, to at last once see the endangered Loggerhead Turtles and take the most fun and rejuvenating bath of your lifetime. Let your next vacation be the one to remember. Let your next vacation be with Icmeler. 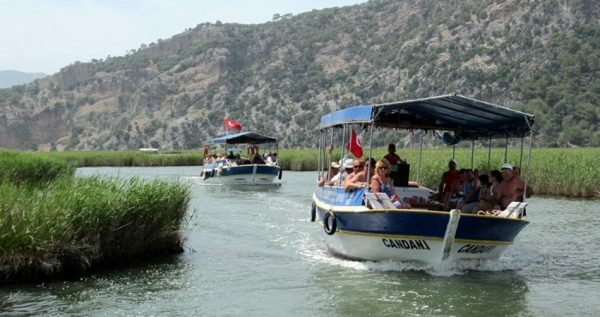 Icmeler Dalyan Tour begins at 8.00 in the morning, when one of our drivers picks you up in front of your hotel and takes you to the harbor. Once in the harbor, you will board our lavish 3-storey high boat, furnished with all of the modern amenities, such as showers, toilets, sunbeds, and two great and well stocked bars. 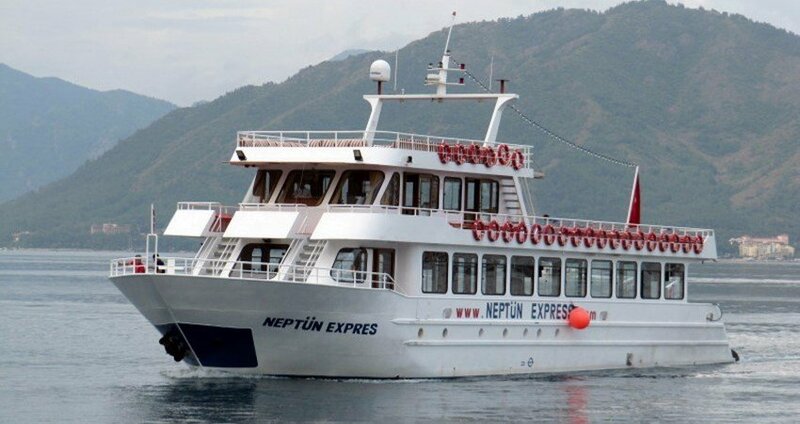 Our luxurious boat guarantees one entertaining and peaceful cruise. We will take our first swim break at the serene and gorgeous Kizikum Bay. You will get to enjoy 40 minutes of swimming or snorkeling in the clear blue waters and sunbathing on a golden beach. Upon our arrival to Dalyan, we will have a delicious lunch on board, and then we will start our visit to this terrific place. 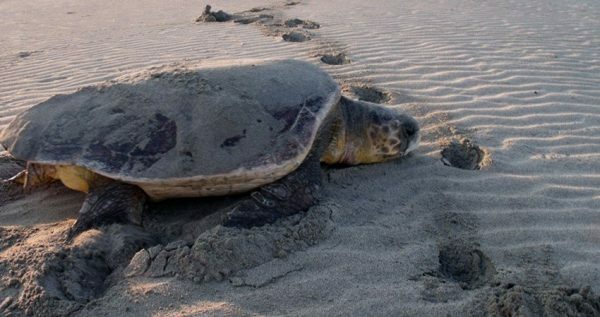 Our visit starts with the unique Turtle Beach, where you will get to swim and explore this wonderful beach for about 90 minutes. This great beach is protected because it is the breeding ground for the endangered Loggerhead Turtles. Turtle beach is also one of the most beautiful beaches of the European coastline. After visiting the Turtle beach, we will board charming little canal boats, on which we will sail through the maze of the canals. 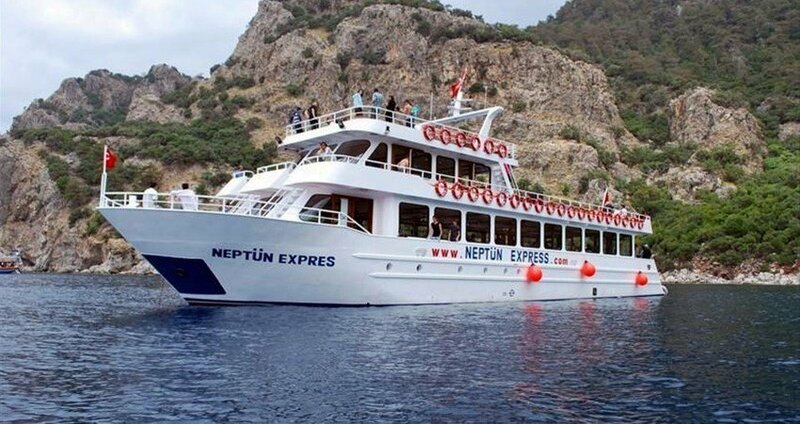 During our sail, you can have a drink on the boat, just keep in mind that the drinks on these boats are not included in the tour price. 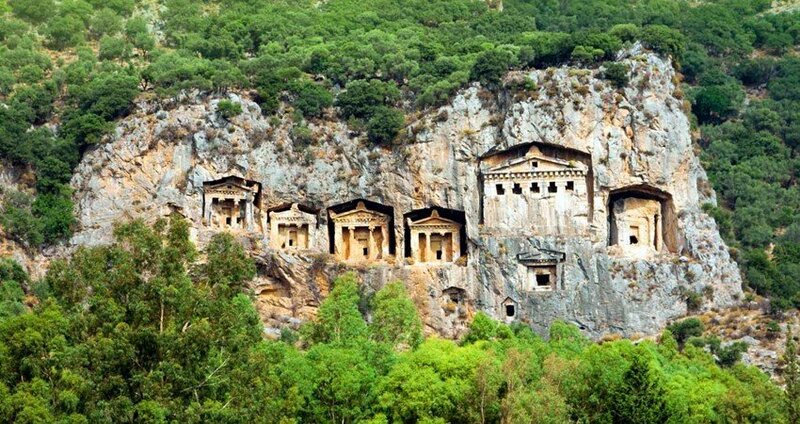 Next, we will get to see the ancient Lycian rock tombs dating back to 400 BC, and we will also take a picture-break here. You will get the chance to take some amazing pictures, as our English-speaking guides inform you about the history and the legends surrounding the tombs. 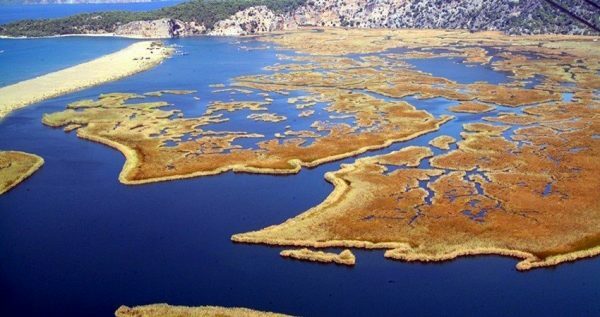 We will also visit the amazing Dalyan mud baths, where you will get to wobble and play in some rejuvenating mud! 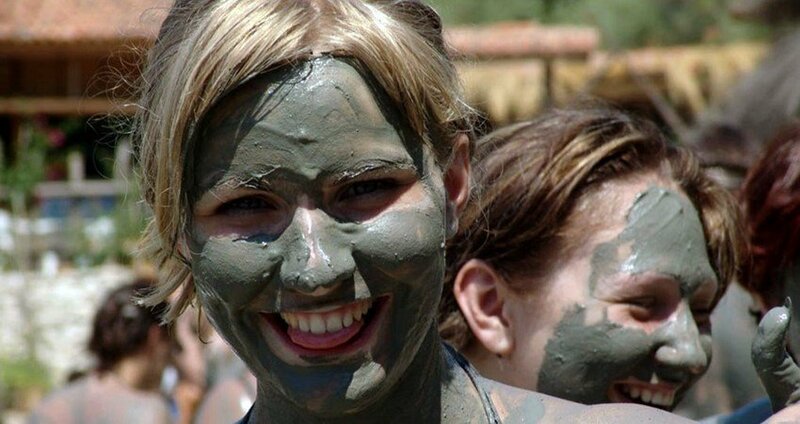 Mud in these baths is famous for its effects on the skin. After your frolicking in the mud is over, you will get to take a shower and have a refreshing beverage at the charming cafeteria nearby. Once we sail back in the marina, our driver will be waiting to pick you up and take you back to your hotel in Icmeler. Transfers from your hotel and back are included in the primary tour price. 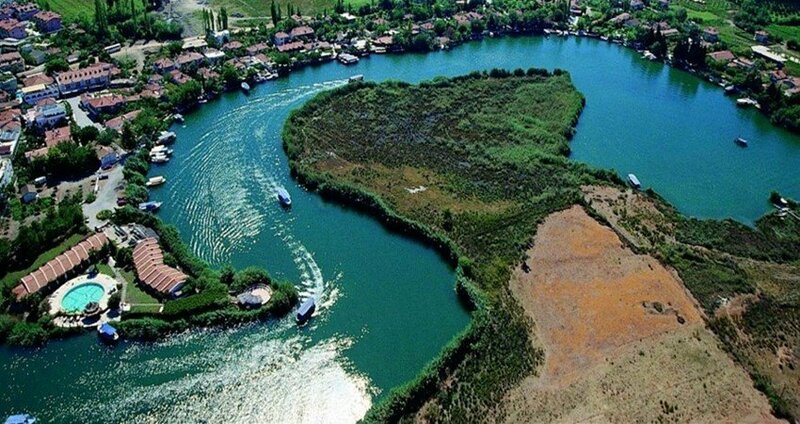 If you would like combine this tour with beautiful Koycegiz lake, take a look at Icmeler Dalyan Koycegiz Lake tour.